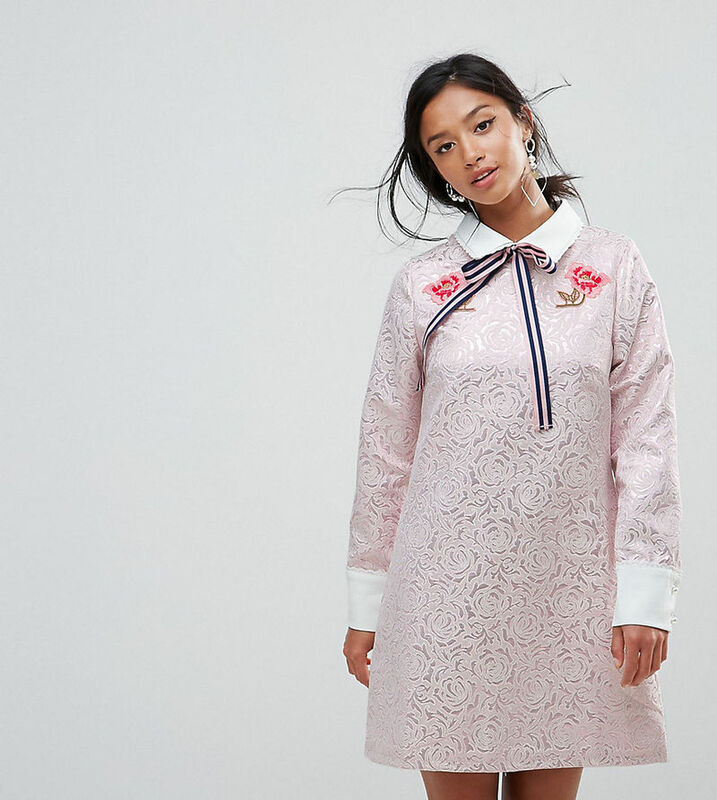 Petite dress by sister jane, Lightweight rose jacquard, Woven-in design, Contrast tie collar, Floral embroidery, Contrast cuffs, Zip-back fastening, Faux-pearl button, Regular fit - true to size, Exclusive to ASOS. Serving up femininity with a vintage twist, sister jane perfects your 9-9 style with its pretty blouses and tailored separates. Expect floral prints, ruffle trims and lashings of lace across a range of petite pieces.